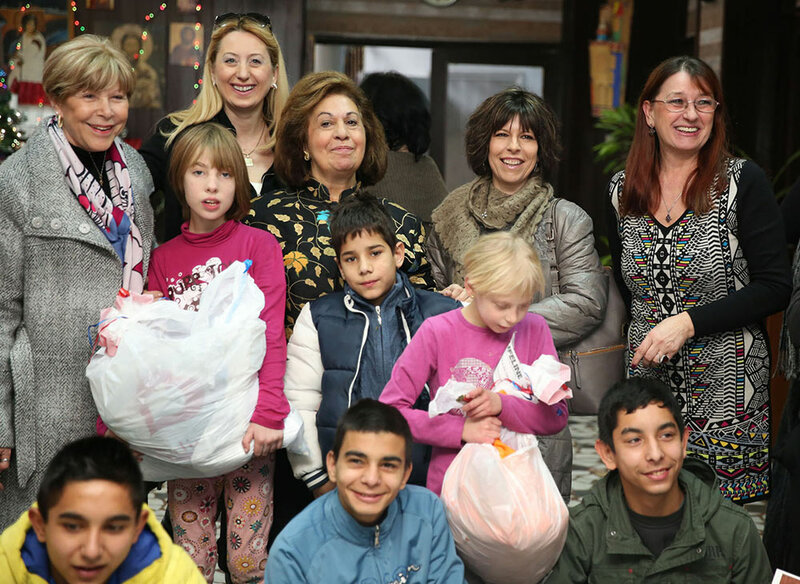 Her Royal Highness Crown Princess Katherine visited orphanages “Drinka Pavlovic” and “Mosa Pijade”, accompanied by Mrs. Kathy Fanslow, President of the Executive Board of the Lifeline Humanitarian Organisation Chicago and her daughter Ms. Tracy Armstrong. The Patron of Lifeline Humanitarian Organisation Chicago is HRH Crown Princess Katherine. Crown Princess Katherine and her associates wanted to brighten the Christmas Eve for the children and show they think of them, bringing backpacks, school supplies, stuffed toys, shoes and clothing. The children and employees of both orphanages welcomed the dear guests with great joy, and thanked them for the wonderful gifts.